Thanks, Bob, for hosting my post. Since this is a post on challenges, I just wanted to start by saying that I love epic fantasy, both as a reader and as an author. To me, this genre is unparalleled in the way that you can make anything possible, with no bounds of reality constraining your imagination. Just thinking of these possibilities makes my head spin. And, this is where the challenges actually start. I think many authors are familiar with the intimidation of looking at a blank page (or, more commonly, a computer screen) and thinking about all the things one could put down on that page/screen. Once you start writing, you are, to an extent, constrained by what you wrote. This initial moment of ultimate freedom is very special, both fascinating and frightening, like a thrill one may feel before stepping over the edge into a freefall. To me, one of the biggest joys--and challenges--of writing comes with this freedom. When anything is possible, it means no one can tell you what you can and cannot do. There is no book where you can look up the rules. As an author you get to invent the entire culture, religion, history, geography, customs, etc., just to name a few. Yet, once you start writing, everything in the world you are creating must be as rigorous and logically consistent as it is in real life, just within different boundaries. And, since there are no books to look it up, you have to keep it all in your head. My work on worldbuilding unravels in parallel with the story I write, and usually does not stop for many of the daily activities. I tend to immerse myself in the process, inventing names, cultures, beliefs, trying to envision them all in my head. This is very challenging, but also so very rewarding when it works well. Another challenge I tend to encounter is with characters. I find it hard to stick to only one character’s point of view when writing an epic with so events going on at the same time. Switching points of view is, for me, equivalent to switching personalities. Once, in the head of a royal duke, I found myself driving very aggressively and had to stop myself before getting into trouble. I remember this feeling of genuine arrogance and disbelief that people actually don’t part to let me through. It was so uncharacteristic of me, and so eye-opening that I could switch so completely into another person’s head. But then, within the same day, I had to switch into the head of a commoner and think of people in a completely opposite way, with humbleness and compassion. It was much more easy and pleasant, I must say. My metaphor early on, when I worked on the first novel in my Majat Code series, used to be “wrestling with a giant octopus” (with no offence or direct implications to any living creatures). Imagine a massive, amorphous creature with too many appendages for one person to keep in sight. Imagine trying to fit this creature into a box. Just when you think you got some of the flailing tentacles under control, others pop out of nowhere and you have to struggle to tuck them in. To me, this image accurately reflects the feelings I had with the early versions of my story. I kept a list of plot lines to tie down, many of them interconnected, many seemingly impossible to connect. When it all worked out, I simply could not believe it. For the first few days I just kept re-reading what I wrote, feeling stunned. My ultimate reward in all this is seeing an epic story, set it a created world, which all worked out just he way I wanted it to. It is an amazing feeling. I feel privileged to experience it in my writing, and always strive to achieve it with every next book. 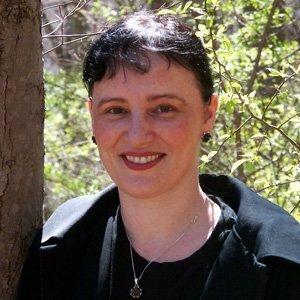 Anna Kashina grew up in Russia and moved to the United States in 1994 after receiving her Ph.D. in cell biology from the Russian Academy of Sciences. She works as a biomedical researcher and combines career in science with her passion for writing. Anna’s interests in ballroom dancing, world mythologies and folklore feed her high-level interest in martial arts of the Majat warriors. She lives in Philadelphia, Pennsylvania. You can find Anna online at her website: www.annakashina.com, on Twitter @Annakashina and on Facebook. The sequel to Blades of the Old Empire. Kara has achieved something that no Majat has ever managed – freedom from the Guild! But the Black Diamond assassin Mai has been called back to face his punishment for sparing her life. Determined to join his fight or share his punishment, Kara finds herself falling for Mai. But is their relationship – and the force that makes their union all-powerful – a tool to defeat the overpowering forces of the Kaddim armies, or a distraction sure to cause the downfall of the Majat? Wrestling an octopus - yes, that is an apt description. I deal with enough world building in science fiction and can't imagine the undertaking of an epic fantasy. Well done, Anna!